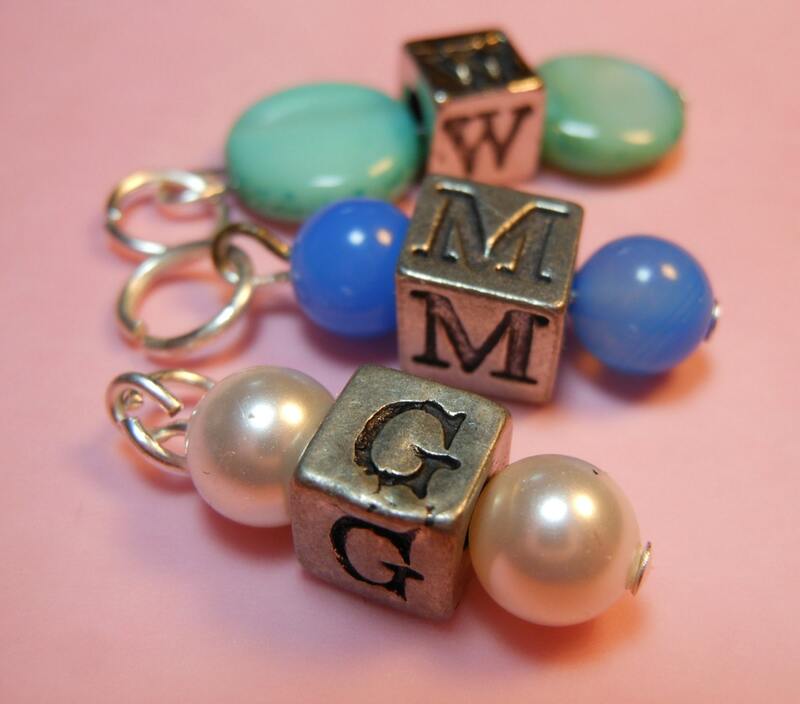 Personalize your rosary with matching beaded initial charm add on. 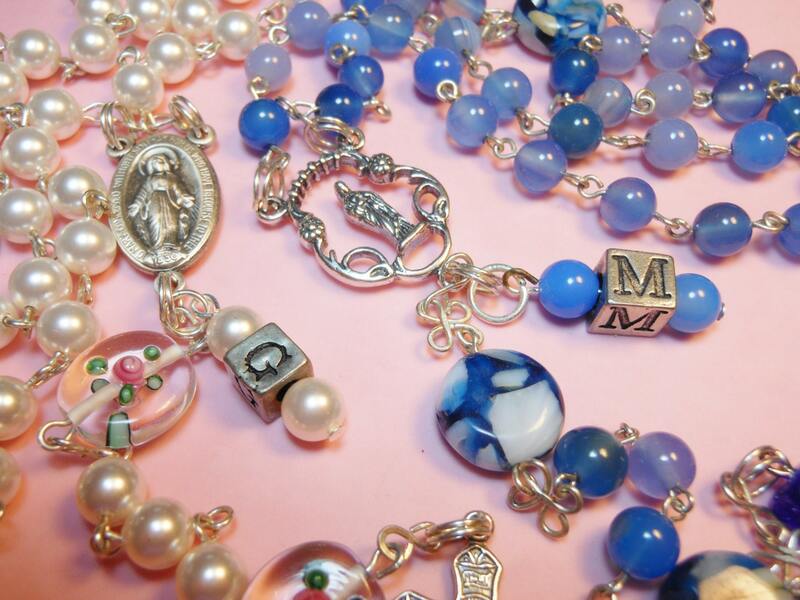 I have extra beads for most of my rosaries on hand and many initials. 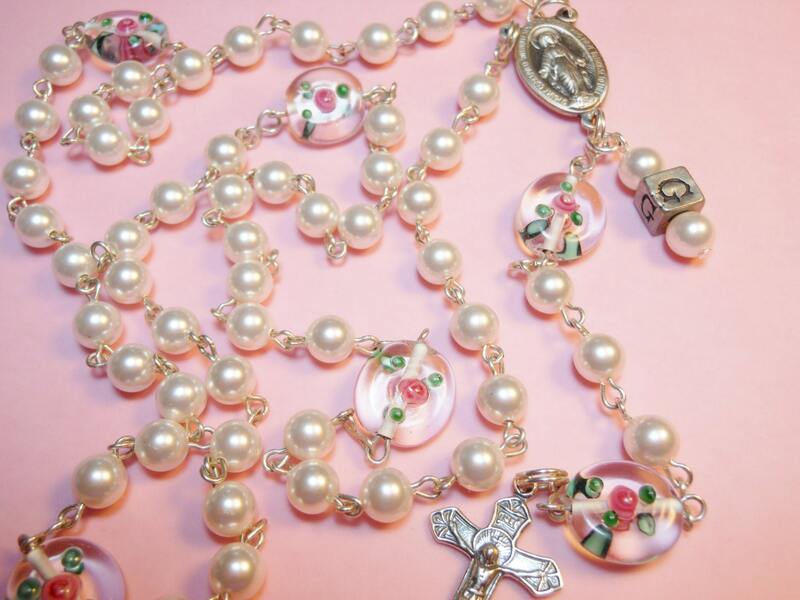 If you want to get this for a rosary you already have, I may be able to match or come close. My collection is pretty vast. Initials that I don't have on hand will require a special order so please check with me before buying. The initial charms all have a pewter finish. The wire will be silver plate, gold plate, copper or antique bronze colored. 2. Add on items only have free shipping in the United States when added on to another piece. If you are out of country and your package is small enough to lower shipping, I will refund any difference over $1.00, after insurance. 3. If you want to save this item for later or make a ‘wish’ list to share with others, click on the ‘favorites’ link next to the ‘add to cart’ link. 4. For questions click on the contact link under shop owner info on the right. 6. Gift-wrapping and drop shipping available. Contact owner.